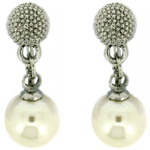 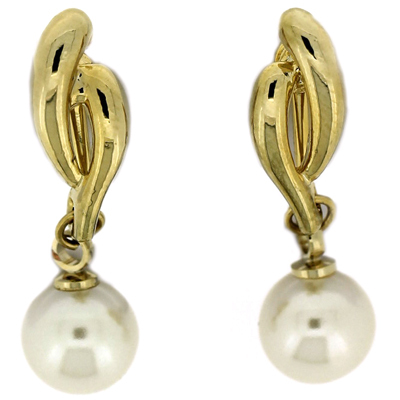 Knot with an ivory faux pearl drop clip on earrings on earrings on a gold plated frame. 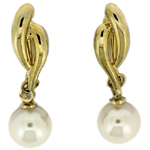 Size: 0.8 x 2.5 cms. 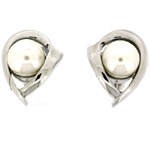 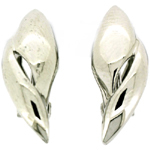 Earrings suitable for non-piercered ears with a paddle back style fastenings and are provided with removable rubber comfort plugs.